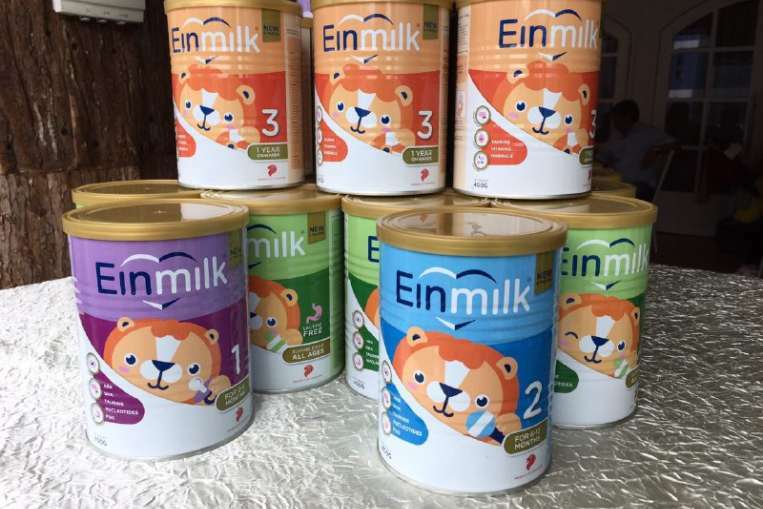 SINGAPORE - A made-in-Singapore range of infant milk powder, touted as an affordable alternative to those on shelves here, was launched on Tuesday (May 30), amid public unhappiness over high prices. 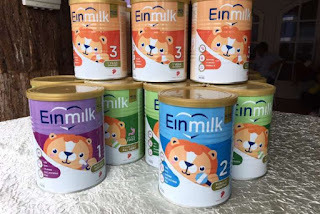 Einmilk, owned by local company AE Solution and manufactured here by SMC Nutrition with milk sourced from New Zealand, comes in four formulations. Its stage 1 to 3 formulas range in price from $33 to $39 for an 800g tin, while its lactose-free one is priced at $25 for 400g. The price of infant milk formula here has more than doubled over the last decade to $56.06 for a 900g tin, leading the Government to announce measures earlier this month to curb the hikes. SMC Nutrition, a subsidiary of food manufacturer SMC Food 21, is one of four companies licensed to manufacture infant milk powder here. Einmilk formulas are currently available at U Stars supermarkets as well as online on Shopify. There are plans to have it on the shelves of more retailers within the next three to six months, said Einmilk business director Chan Yong Chye. While educating consumers and convincing them to switch brands presents their biggest challenge, parent focus groups found that pricing under $40 would entice them to make the switch, he said. "Singaporean parents, we are kiasu (Hokkien for the fear of losing), we want the best product. But whether the best product really comes at that (high) price is something we did a lot of research on," said Mr Chan. There are also plans to grow its presence in South-east Asia and export to neighbouring countries within the next three years, leveraging on Singapore's reputation for strict safety standards, he said. The brand was the brainchild of local businessmen Eric Chua and Alvin Tan, who conceived the idea two years ago after finding a lack of affordable and locally-made milk formulas on shelves here. Said Mr Chua: "(Infant formula) is not cheap.... We wanted to provide quality at an affordable price, made in Singapore by Singaporeans for Singaporeans."